The Industrial Pre-Shipment inspection (PSI) article provides you with information about PSI services which are provided by third party inspection agencies. The first application is used by buyers and sellers and when the commodities funds are transferred through letter of credits (LC), in which buyers and sellers banks are involved. Then the commodities will be inspected before shipment by the independent third party inspection companies to verify quality, quantity, packing, marking and loading. Several documents must be delivered to the seller's bank for receiving the purchase value, such as the bill of lading, certificate of origin, packing list and inspection certificate. So the inspection certificate is a document that must be issued by Third Party Inspection Company and delivered to the seller. The seller will refer to its bank to receive the funds by delivering the Inspection certificate and other related documents. The placing of mandatory inspection requirements in the LC, depend on the buyer's and seller's decision and might be ignored by mutual agreement. The second application is used by the government to safeguard national financial interests such as the prevention of capital flight through over invoicing and customs duty evasion. The core service in the second application is goods price verification. The PSI companies have their own updated database for goods prices, and the prices which are declared by importers will be compared with the values in their database and will be reported to the governmental authorities, e.g. custom authorities or banks. In this case, the government's main aim is to prevent slippage of customs revenue as a result of undervaluation or deliberate misclassification by traders of goods to be imported under low-duty headings. An oil company wants to order for design, manufacturing, procurement and installation of a gas turbine in its facility. The oil company makes a contract with the engineering company for design, supplying and installation of the gas turbine. The oil company opens a letter of credit with its bank for the engineering company. Subsequently, the engineering company makes contract with the gas turbine manufacturer and requests from the bank for the "transfer LC." The applicant and consignee will be the Oil Company, the first beneficiary will be the engineering company, and the second beneficiary will be the gas turbine manufacturer. Please note in clause 46.A that there are lots of documents which must be delivered to the bank for payment, and the inspection certificate is one of them. So the above wording in “bold” must be exactly stated in the inspection certificate. Even if there is a syntax error, it should be stated in same form. Any change from the above wording will not be accepted by the bank and the funds will not be paid. For example, if the equipment manufacturer did not notify the inspection company for the loading inspection and the commodity loaded without the witness of the preshipment inspection company, then what will happen? The inspection company will issue an inspection certificate, but will remove the word “loading” from the above statement. But the consequences are that when the seller takes this certificate to the bank for receiving the payment, the bank will announce a discrepancy and will not pay to the seller. The scope of inspection must be agreed upon between the Oil Company, engineering company and gas turbine manufacturer. The scope is normally summarized in the Inspection and Test Plan document. For more details, review the Inspection and Test Plan article. The ITP details the quality part of the inspection scope. The inspection company will make an inspection in each stage of manufacturing and will issue an Inspection Visit Report (IVR). The engineering company must issue and submit the packing and marking procedure to the manufacturer or ask for a draft of the packing and marking procedure from manufacturer for approval. In both cases, the inspection company must make an inspection based on the approved packing and marking procedures. When the inspection company inspected the quality of the gas turbine, controlled the quantity and made an inspection on the packing and marking, then they will issue the inspection release note for shipment. Then the gas turbine manufacturer can organize with the shipping company for shipment of the gas turbine. The inspection company must be notified for loading inspection. The inspection company will witness the loading and will issue an Inspection visit report for loading. The inspection company already received the Letter of Credit, Proforma Invoice and Purchase Order, so based on all of the collected documents; it will issue the pre-shipment inspection certificate and will deliver to the gas turbine manufacturer. Then, the gas turbine manufacturer, with the inspection certificate and other required documents, will refer to its bank and receive the payment. As stated in the opening of this article, sometimes the governments might use some services from pre-shiment inspection companies. In the above gas turbine example, it might be necessary that the gas turbine manufacturer's proforma invoice to be approved by the pre-shipment inspection company (before issuing the purchase order by the engineering company) and make sure the price is not more than the value which is on the market. Some government authorities try to avoid capital flight through this mechanism so safeguard national financial interest. Pre-shipment inspection companies also are used to avoid customs duty evasion. In the above example, the engineering company or gas turbine manufacturer's local agent in the destination country is the importer and must submit a customs declaration document to clear the gas turbine from customs. So a pre-shipment inspection company might be hired to make a price verification and determine the gas turbine custom duty. Pre-shipment Inspection Services - This article provides you supplementary information about this content. Commodity Inspection - This article provides you information about commodity inspection. The scope of work for commodity inspection is very similar to the pre-shipment inspection. Preshipment inspection must be done before shipment, but in commodity inspection, the buyer and seller might agree to inspect the commodity in the destination country. When commodity inspection is not accompanied by vendor inspection, then precise attention must be paid to the document review. These documents are: quality control records, test reports, test procedures, material certificates, etc. Goods Inspection - Goods inspection and commodity inspection have the same meaning and same definition and refer to the inspection of specific goods that a buyer purchases from a seller. Finished Goods Inspection - The scope of work for finished goods inspection is very similar to the goods and commodity inspection. But shop or vendor inspections are never included in this scope of work. Inspection of Packing - This article provides you information about inspection of packing, which is done in industrial goods before shipment and it is in the scope of the pre-shipment inspection. 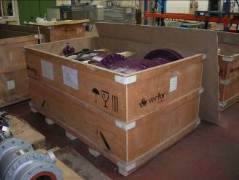 Seaworthy Packing Procedure - This article provides you information about seaworthy packing procedure. The term seaworthy packaging is intended to indicate that the packaging must additionally strengthen and withstand the conditions of maritime transport and resist more severe stresses. BS STD Packing Procedure - This article provides you information about BS STD Packing Procedure. The BS 1133-8:2011 Packaging code, Guidance on wooden boxes, cases and crates is most well-known and describes the comprehensive construction standards for boxes, cases and crates, which widely are used for packaging and shipment of industrial goods. Quality Control in Packaging - This article provides you information about quality control in the packaging process of industrial goods before shipment. The quality control in packing process is the responsibility of the equipment and material manufacturer. Container Shipping Seals -This article provides you basic information about container shipping seals. 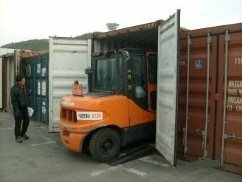 The objective in using these seals is to minimize the risk of unauthorized access into the container, which reduces the risk of cargo pilferage and the introduction of contraband. Establishment Inspection Report - This article provides you information about the establishment inspection report. When the third party or second party inspector carried out the inspection, then he/she must provide an inspection visit report to its customer. The inspection visit report must have some characteristics, which are explained here. Certificate of Inspection - This article provides you information about the Certificate of Inspection (COI). The third party inspection service provider company must issue an inspection certificate after finding satisfactory results during the inspection and when they have received the shipping documents from the seller. This certificate has more commercial value than technical value and is a very important document in commercial transactions. This article explains the detailed content of the certificate. Document Review is very important item in pre-shipment inspection assignment specifically when this inspection is not accompanied by vendor inspection. In other word the purchaser order to the third party inspection agency is for doing pre-shipment inspection and there is no inspection during manufacturing process. In this case TPI inspector must pay more attention to control the quality control records. When specified by purchase order, the TPI inspector must sign and stamp the above documents by special "Document Reviewed" stamp.